For us at MakeTank, there's no need to introduce Sara Barroccu: she won DesignWinMake 3D Edition with the BARSA Project. Sara is a nice, inventive and meticulous person with the typical grace of Audrey Hepburn. 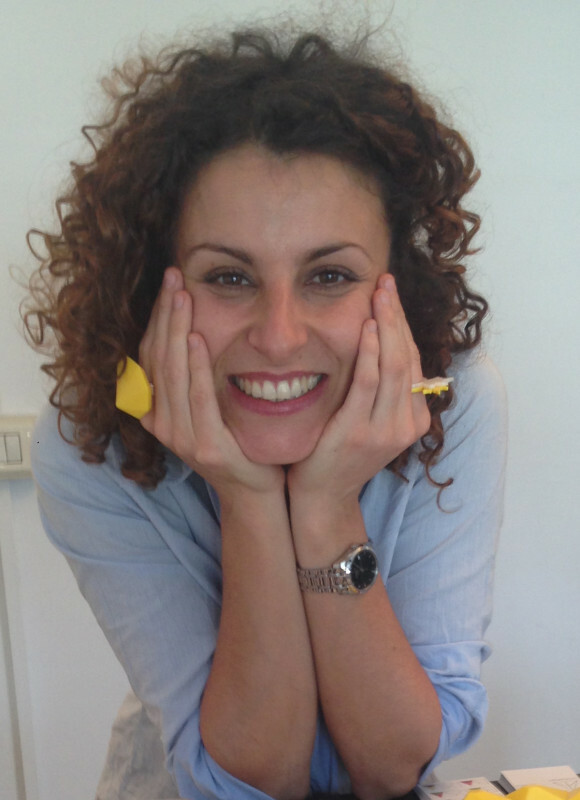 Overall she is an authentic Sardinian: energy and passion at the purest state. It isn’t very easy to follow her but at MakeTank we know how to recognize the talent and we like to tell about it. Since your victory at DesignWinMake 3D Edition, how’s your life has changed? Winning DWM has been an important reward for my job. It gave me a boost in confidence and more enthusiasm to continue, to create new shapes and to refine my production and manufacturing techniques. Moreover, this victory represented a fundamental showcase for my brand because it got me involved in big fairs such as 3DPrint Hub, last march in Milan. BARSA jewels are a mix of grace and creativity (which fully reflects your attitude, we think). Where do you get your inspiration from? Thank you! My inspiration comes from what’s happening around me, I do love to observe the nature. It something related to my origins and the ancestral relationship I have with my region: Sardinia, a place which through its impressive and different landscapes offers many inspirations to anyone who's ready to get them. Its forests, the sea and also the animals in their wild mood become suggestions that my creativity reworks creating new and personalized forms thanks to my passion for architecture and design. A woman with a BARSA Jewel can be really romantic with the “You and me” earrings or the “Hirundo” ring, or a smart manager wearing a “Diamond big”. How do you keep the balance of these two souls? I’m like that! After some encounters that have changed my life I have discovered myself as an incurable romantic, but I’m keeping the pragmatic attitude I've had since I was a child, dreaming to become a strong and independent woman. I’m happy my creations reflect this mix. What does it mean, for you, to be a self-producing designer? It allows me to create without any limit, testing all the projects I have in mind. I can immediately analyze all the features of the model I'm realizing – the design, its functionality, the weight – then modify all these parameters to make a better product. It’s a continuous cycle of analysis, change and effort in going on with the project until you get to the best solution. 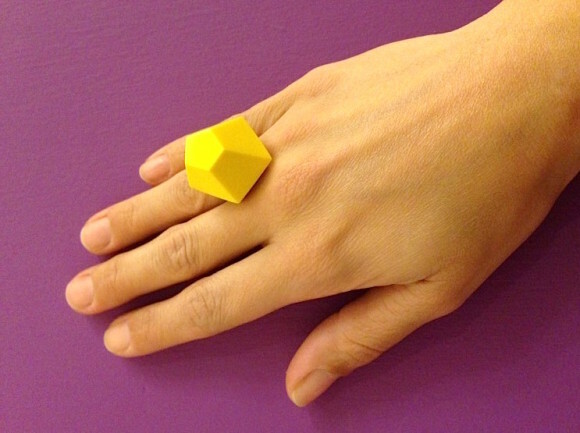 I want to go on exploring 3D technology and I'll create a new collection of men accessories. At all the events I took part in, men were always quite interested. 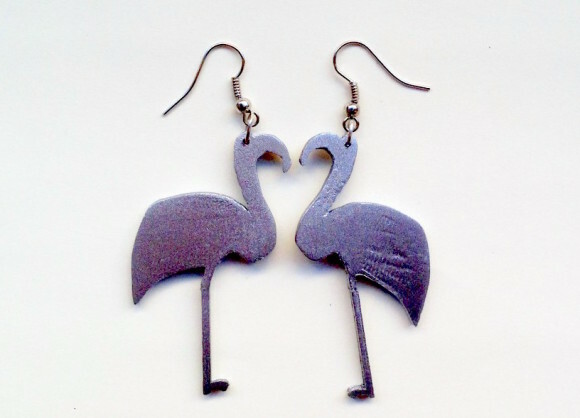 “Gentarubbia” earrings are an homage to the flamingos living in your Sardinia. Who would you choose as the best testimonial for this BARSA jewel? Franca Sozzani! I like her style and her attention to delicate topics such as the environment and its species protection. And speaking about endangered species, I'd like to mention also Baringo, the necklace dedicated to an endangered South African giraffe.